POINT LOOKOUT, MO. — The Keeter Center at College of the Ozarks will offer Area Appreciation Jan. 27 – Feb. 10 as a thank-you to the residents of the Tri-Lakes area community — Barry, Stone, and Taney counties. 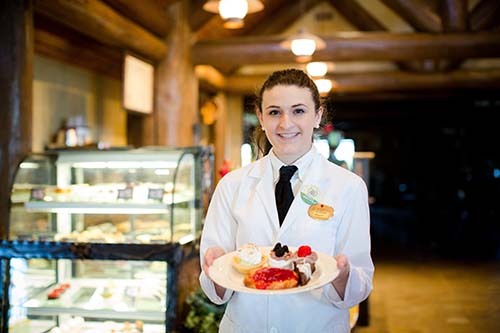 Visit during this time to save 20 percent on fine dining at Dobyns Dining room, sweets and specialty coffees from the bakery, and homemade ice cream from Nettie Marie’s College Creamery. The Keeter Center — the College’s award winning lodge, restaurant, and conference facility — has consistently been ranked a Top Small Hotel in the U.S. by TripAdvisor. It features historic lodging, fine dining, and meeting rooms. With more than 350 student workers, it is the largest workstation on campus. Reservations are recommended and can be made online at www.keetercenter.edu or by calling (417) 690-2146. College of the Ozarks is a private, Christian, liberal arts college, located in Point Lookout, Missouri, on a 1,000-acre campus. Christian values, hard work, and financial responsibility comprise the fundamental building blocks of the “Hard Work U.” experience. The College earns numerous accolades yearly, including No. 1 Most Innovative School in the Midwest by U.S. News & World Report for 2019 and No. 1 Best Bang for the Buck by Washington Monthly. To achieve its vision, the College pursues academic, vocational, Christian, patriotic, and cultural goals. These goals are mirrored in School of the Ozarks, a laboratory school that completes the K-college model. Follow College of the Ozarks at www.facebook.com/collegeoftheozarks or on Twitter @CofOHardWorkU.